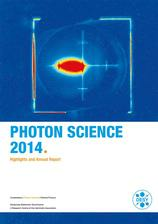 The "Photon Science 2014 - Highlights and Annual Report" presents the activities and the perspectives of research with photons at DESY. In the past, the "Photon Science Report" has been complemented by several hundreds of "User Experiment Reports" and "In-house Reports", i.e. reports on the results of experiments at DESY light sources. In future, these reports are replaced by specific experimental reports, submitted via DOOR for each beamtime. These reports will not be available online.